After a nationwide search 19-year-old Rocket owned by Hilary Bowerman and ridden by 12-year-old Holly Marsh from Leicestershire has been chosen as The Face of TopSpec 2019. Their prizes include £500 worth of TopSpec feed, nutritional support and advice, a professional photo-shoot and framed print, and a top of the range Horseware rug. Holly first set eyes on the 14.1hh, skewbald Cob x Arab gelding, Rocket in 2015 when she was just nine-years-old and has since had him on loan from Hilary who regularly supports the duo at competitions. They regularly compete at one day events, with Holly and Rocket progressing from 80cm to 90cm level, and represent the Atherstone and District Riding Club, and Atherstone Pony Club at qualifier and championship competitions. “Rocket is a super pony and always tries his best, he is always chosen to be on the teams and you can guarantee that he will always achieve a double clear,” said Holly. 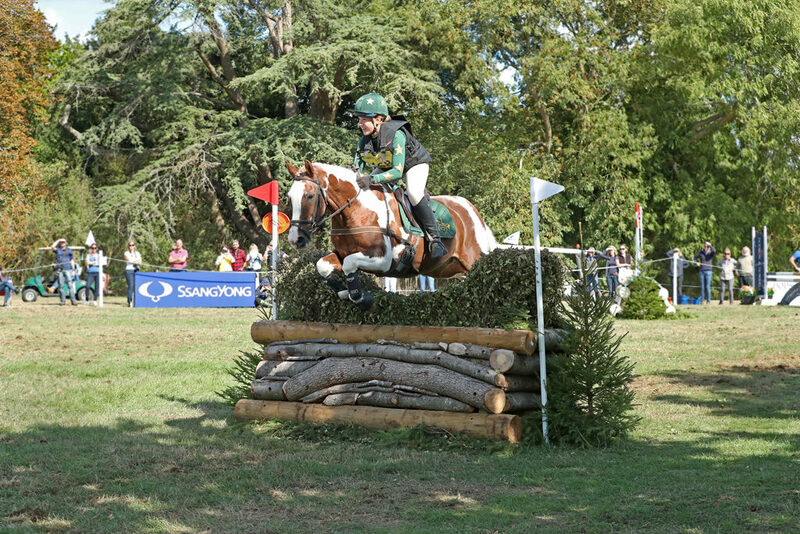 The pair has competed at and represented the Pony Club and Riding Club at numerous events at international horse trials including Rockingham, Osberton, Blenheim and Chatsworth which they thoroughly enjoy. Rocket and Holly won the Eventer Challenge Team Event at Blenheim Palace last year and were the only team to finish on a zero score, an amazing achievement at such a young age. Holly was the chosen junior team member whilst the others were all senior members. He is fed on TopSpec Senior Lite Feed Balancer, TopSpec Performance Cubes and TopChop Alfalfa and looks in fantastic condition. He also has TopSpec Electrolytes in the summer and TopSpec Turbo Flakes when competing in the cross-country phase to help with fast releasing energy. Rocket is coming up to his twentieth year, is still out competing and winning, and certainly doesn’t look his age. Added Holly: “When I tell people how old he is, they usually don’t believe me.